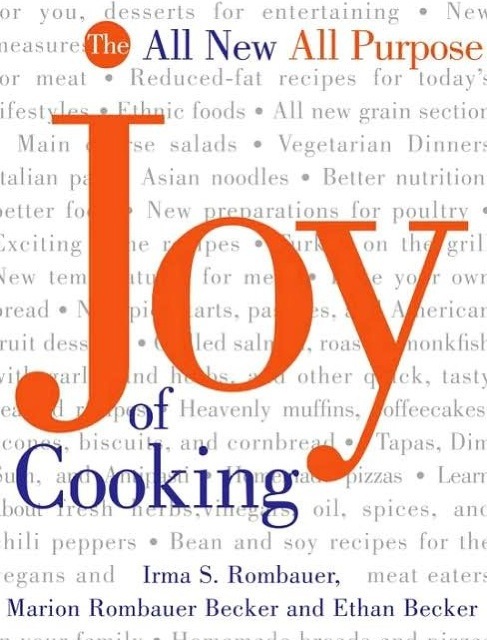 Since its original publication in 1930, Joy of Cooking has been the most authoritative cookbook in America, the one upon which millions of cooks have confidently relied. It's the book your grandmother and mother probably learned to cook from, the book you gave your sister when she got married. From cover to cover, Joy's chapters have been imbued with the knowledge and passion of America's greatest cooks and cooking teachers. An invaluable combination of old and new, this edition of Joy of Cooking promises to keep you cooking for years to come.